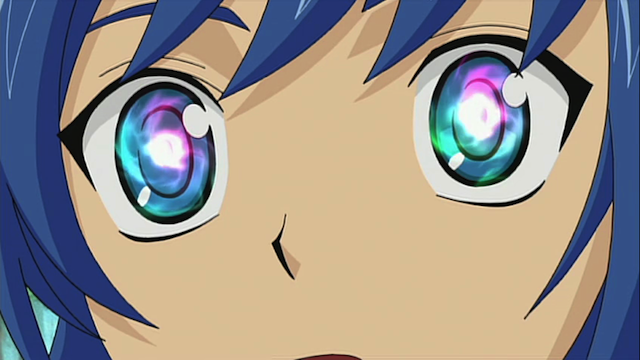 Aichi finally sees it ~ the image of how he will win. 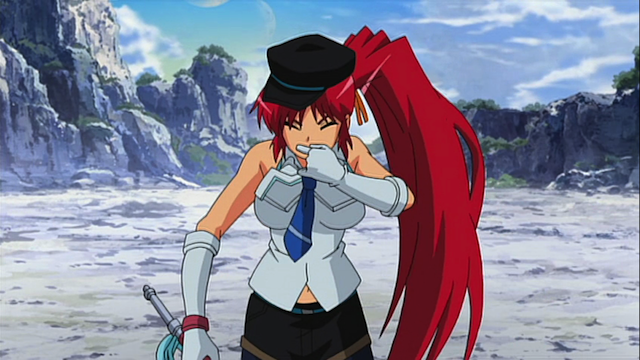 One thing that Cardfight! Vanguard stresses is the power of imagination. 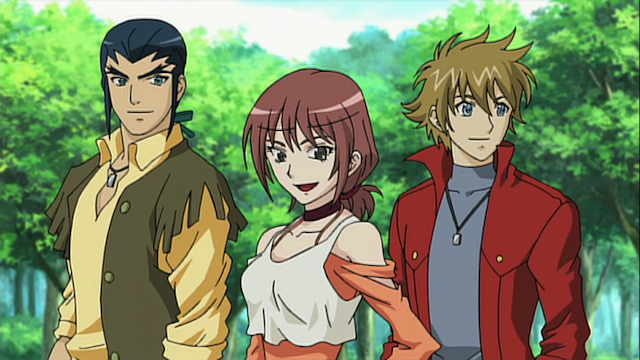 Previous episodes have shown this in many different ways, and last episode indicated that Aichi’s current problem was that he didn’t have a strong image of how he would win when he assembled his deck. In episode 35, the beach training camp ends, but not before Aichi sees the image he is looking for (no, not Misaki in a bikini top). High dog breeder, Akane. Aichi's new ally. Aichi’s new image of his winning is essentially a strategy of chaining superior calls. He will need to acquire a card (Akane) then he can call Pongal, who can call his Dragon-knight card, which means being able to attack with a level three card on his second turn. It should be a good strategy, but we don’t really get to see the results in a game. One last look at Team Caesar. I really dig those groovy threads. That ends the training camp with Team Caesar. I really think these guys should get a spin-off show where they solve mysteries. They can travel around, as part of their Vanguard fighting, and run into mysterious situations on the way. Notably their leader, Mitsusada was shown losing to Kai in the last episode, but he is also shown playing with Kai again many times in this episode, so I guess Kai considers him a worthy opponent.